PL premium will do the trick just fine. Has enough dry flex to accomodate shink and swell. Make sure to finish the underside of the tread first with something to balance moisture. Why not shoot some screws from underneath, with larger holes in the back for wood movement. What are you going to do on the landings? That's a big panel, and lots more movement. If I wanted to glue them, I'd use silicone adhesive, but you will have to keep the trades off them for quite a while. I thought pl polyurethane adhesive would be fine. As for the landings, the architect would like them to be as seamless as the treads....like a table top. Of course my concern is warping/cracking if just using construction adhesive. For that matter even if the metal fabricator makes slotted holes for me, I'm still concerned about the flatness of it all as this isn't a table top. The old stair guys around here are wincing in silence. They would probably advise against it. There is no precedent for this, so there is probably a reason. I'd decline in favor of easier ways to make a living. A good strategy that has been used for centuries is to rabbet and tongue the risers and treads together so the tread nose is fixed, but the tread can expand and contract under the rabbet at the riser. Skirt boards are also made to allow for holding a tread in place, but allowing some movement. Wood will move, there is no stopping it without repercussions. I have no idea what PL premium is, but if it is 'flexible' then it would be likely to fail - later if not sooner. Simply gluing finished materials directly to steel is not recommended. If you must then I suggest edge-glued quarter-sawn white oak treads and landing platforms. These are set down in a bedding of thickened epoxy, with all the bottom surfaces being first coated in an epoxy sealer. Regular construction adhesives alone will not prevent solid treads from working lose and separating from underlying steel plate or sheet metal pans. I've overlay-ed a lot of steel stairs with finished materials and the general approach is to first wrap and cover them entirely with sub-plywood. This is glued, screwed and shot down anyway we can and until we don't see any metal. Then the finished treads and risers are installed just like any other overlayment job. BTW; Figuring out how to do this should not be your job. 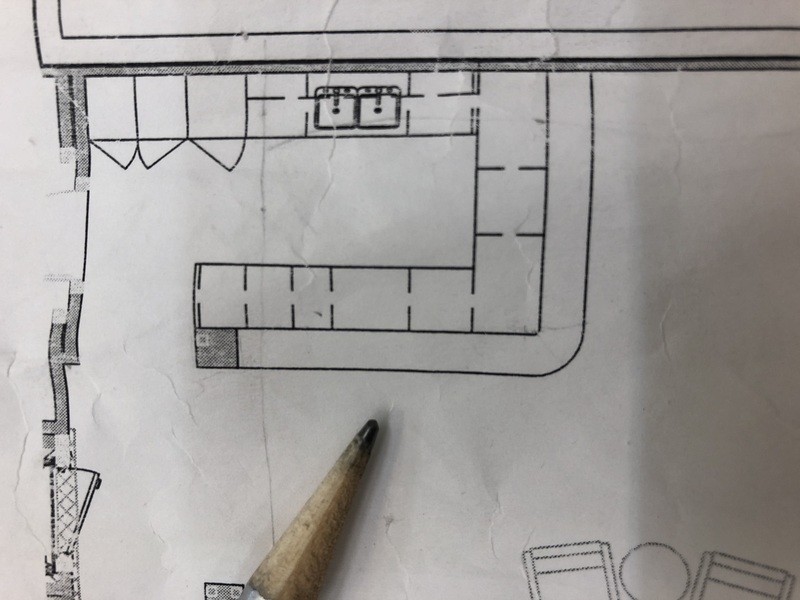 You can offer suggestions along with shop drawing proposals but all details should be approved in writing by the architect. In fact, he should be the one providing you with plan details and specifications. Your job is to do the work "as specified". To do otherwise is to be wholly liable for whatever you've elected to do. Even the selection of glue should not be your call. What happens at the ground floor to the first tread or when you get to the next floor and the flooring is a different thickness than that being added to the treads and landings and the stairs are already in? I guess its the same issue for the current plan. If the metal stair guy didn't know the total tread thickness when the stars were made I guess there is trouble in River City. Good question Alan and the answer dictates what can and can't be done. We have 3/8" leeway, no more no less (within a single flight of stairs). Stairs are designed from finish floor to finish floor and these are facts which need to be predetermined in the planing stage. I assume they've planned for their added steps and platforms as well as the upper threshold. The answer then may be to reduce the thickness of the finished flooring to allow for a sub-plywood surface. A full size nosing can be part of the leading edge. Either way, I'd be asking (insisting) that the architect spell it out. Whatever he says, goes. Construction adhesive even the poly stuff dry hard. The poly stuff is more adhesive. However you are not bonding ply down to joists. Steel and wood are quite different materials. I would choose an elastomeric adhesive that has a tenacious adhesion to any material and remains flexible forever. I would saw relief slots on the bottom of the treads and landings this should (in theory) help with warping. As for expansion/contraction, how about the skirt board covering the excess? Orientation will ply a part as well as moisture content and the environment of the building itself. I would use a siliconized adhesive that will allow the treads and landing to "float" but what happens if they need to be removed at some point? I agree with Adam, in that 3M5200 would be a good option. However, it, or any flexible product needs to have a thick layer, to allow the wood to move when it needs to move. The only way to ever get it off, would be to chew it off from above. Soo happy the planets have shifted and work is going strong again. Just bought my first little edgebander today!! An edgemaster with glue pot. You will not regret your decision to not do a job. In retrospect you will be thankful. Most of us would lose a bit of sleep over that project...always wondering when it would start creaking or cracking. I don't think I have ever regretted turning down a job that has too many of those unknowns in it. You did the right thing, and you will be free to concentrate on other work that will turn a profit with less headache. I like a challenge, but I also like it digestible. I might suggest you go back to the Architect and ask for 20 minutes of his time. Explain why you turned down the job, and ask him to give you a call for some free consult next time he is faced with detailing any sort of millwork (you like/want to do). This will create a favorable impression of your shop and your willingness to make his projects better.